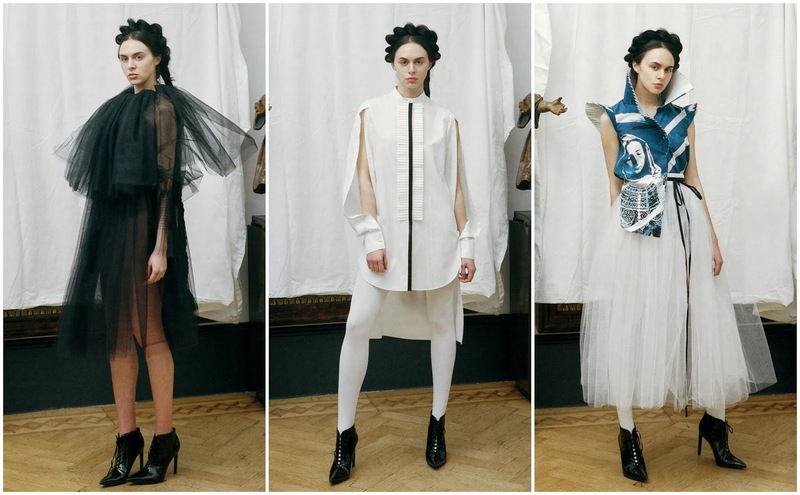 Nabil El-Nayal is a virtuosic Syrian-born, London-based fashion designer and Royal College of Art graduate. He won the British Fashion Council’s MA Scholarship Award which enabled him to pursue further education at the Royal College of Art. Harrods bought his MA collection and it quickly sold out. Christopher Bailey enlisted him as a researcher during his Burberry tenure. He was the first designer in the world to use 3-D printing and he is finalising a research doctorate in how it can become integral to the design process. Such incredible accomplishments and he’s fashion’s best-kept secret. But, perhaps, he’s doing things the way others wish they could. Instead of desperately seeking press attention, Nayal’s operation aims for the business side of things. His stockists include Harvey Nichols in Doha and Riyadh, Dover Street Market in Tokyo, Moda Operandi online; with a bolstered emerging business, the press attention can follow. He’s proven himself in the only realm that matters in the long-run. 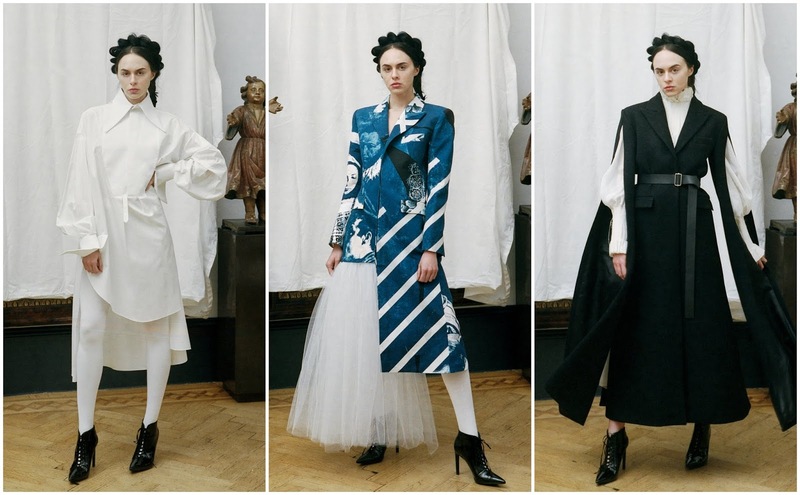 His fascination with Elizabethan dressing extends to his Fall 2018 collection, ‘Elizabethan Sportswear VI’, a tableau of 16th century-inspired garments that marks the final chapter of his doctoral research and concluding his exploration of Renaissance dress. However, I couldn't quite connect the sportswear elements to a collection bursting at the seams with 16th century extravagance. His clothes eschew from anachronism, a line dangerously towed by others who elect to revisit centuries predating the 18th. The principles which he explores: “‘to ruff’, ‘to sleeve;, ornamentation, lacing, black and white.” These have become instrumental in his aesthetic, illustrating his ability to find a contemporary voice for Renaissance dress. I recalled modern society’s fraught relationship with censorship. Articles are published daily about the question acts of governments and their approach to censorship. The freedom of the press, an integral aspect of modern society, has come under fire in recent years and with the rise of alt-left and alt-right voices the landscape has become more frantic than ever. It is unclear how to proceed but, like stripes in the 16th century, perhaps the best option is to rebel. In a way, his use of early modern tailoring techniques differed from the modus operandi of his contemporaries--the collection was built on sculptural shapes and Elizabethan silhouettes. The most daring reflected the wardrobe of Queen Elizabeth I which veered further into costume territory than anticipated. A black tulle dress with a ruffle running down the centre was outshone by the accoutrement: A knife-pleated high collar. It didn’t exercise the poised restraint in the same vein as the other looks did. It was a costume, albeit fabulous, and it drew the fine line that exists between fashion and costume. Nayal’s exposure is about to increase. He was announced as one of the recipients of the British Fashion Council’s Fashion Trust grant on Wednesday afternoon. Grants and prizes like Fashion Trust catapult designers to the next stage of their careers. Nayal’s been working away for the past ten, collecting prizes and garnering recognition along the way. The BFC’s decision to support Nayal will be instrumental in the next stage of his career, perhaps acting as a propulsion to see him take centre stage next season.